According to a 2012 study by ComScore, three-quarters of Americans use text messages to communicate, and that amount is on the rise. Other statistics indicate that some people in the United States rely on text messages even more than traditional voice conversations. A new company called CampusMD seeks to appeal to technologically-savvy college students by letting them get access to health professionals via text messages. Based in Bethesda, Maryland, the business was founded by Devin Schain. He saw a need to provide this type of service to students who might otherwise put off getting attention for a potentially life-threatening injury or illness. 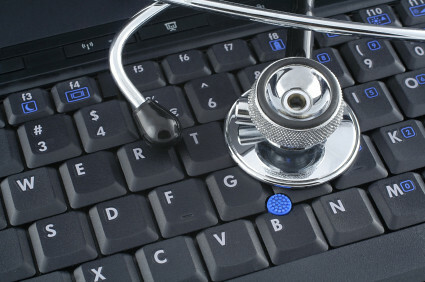 These types of telehealth initiatives aren’t entirely new. For example, the Anthem health insurance company hosts a hotline where insurance plan subscribers can call a number and speak with a registered nurse. Usually, they’ll get advice about whether it’s necessary to go to a hospital for an ailment, or if it’s possible to treat it successfully at home. However, although CampusMD does allow students to communicate with physicians via phone if they wish, they offer the extra advantage of text and Internet communication, too. Students no longer have to wait for the health center or a doctor’s office to open. Now, it’s possible to get a medical opinion by simply opening a cell phone and typing out a question on the keypad. The CampusMD program was beta tested at four colleges, and is now being made available to a much wider audience. For a fee of $17.95 per month, students get access to hundreds of doctors within an average of about 20 minutes. Also, campuses have the option of tacking in the service onto their normal tuition fees for $10 per student. The CampusMD process begins when a student fills out a questionnaire about their medical history. After they’re finished, the survey gets put into an electronic record which can be distributed to a student’s primary care physician, or the staff at the student health center. Later, when a student is facing a medical problem, they’ll have access to a number where they can contact a physician who is guaranteed to call back within a three-hour time span. After evaluating the student’s situation, the doctor will provide a care strategy, and is sometimes even able to write a prescription. Data from the American College Health Association states that approximately 11 million students either received a diagnosis or treatment within the past year. There certainly seems to be a need for this type of on-demand healthcare, particularly that which appeals to college students who might feel that they are too preoccupied with other obligations to take care of their own health. Although time will tell, CampusMD appears to be a feasible way to attend the pressing needs of America’s college students. Hesitancy about seeking medical help doesn’t just apply to college students, but people of all ages and backgrounds. Sometimes, this is due to a person’s financial situation or lack of health insurance, while in other cases, it might simply be driven by fears about uncovering undiagnosed health issues. Hopefully, now that getting medical help is as easy as sending a text message, momentum will spread beyond college students and encourage a more proactive attitude for the nation at large. Ivan Nichols is an avid health blogger. If you’re interested in getting an advanced degree in health administration while continuing to work, check out online programs. For example, UC offers an online health administration degree.